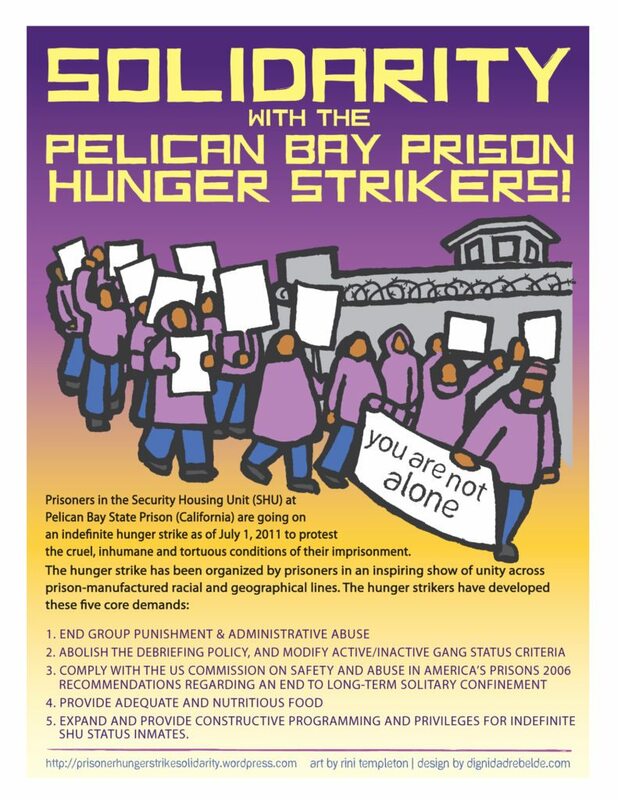 With the California prisoner hunger strike in its 3rd week, California Department of Corrections and Rehabilitation (CDCR) and medical receiver officials agreed to meet with a mediation team working on behalf of the hunger strikers. While the mediators were hopeful that the CDCR would discuss negotiations around the strikers‘ demands, they were quickly disappointed and dismayed by the CDCR’s conduct. “The CDCR refused to let family members of strikers who are part of our team join in the discussions, they refused to negotiate or even address the strikers’ five demands, and they failed in any way to appreciate the urgency of this situation,” said mediator Ron Ahnen. The mediation team’s meeting with the federal health receiver’s office overseeing the California prison system left some assurances that the strikers would receive due medical care and left open prospects for future communication and discussions. “This is a matter of life and death for both the strikers and their families,” said mediator Barbara Becnel. “We object in the strongest possible terms to the complacency of the CDCR.” Mediators have urged CDCR Secretary Beard to meet with them as soon as possible. His office has yet to respond. Greetings of solidarity and respect to all of our supporters, all people of conscience around the world, and all similarly situated prisoners. You should know that once again our peaceful protest is making history, bringing international attention to our collective efforts to bring an end, once and for all, to the inhumane conditions and torture of indefinite solitary confinement. We are being tortured each day by state officials (Governor Brown, his appointee CDCR Secretary Beard, and all his underlings). Increased retaliation has been perpetuated upon defenseless and starving prisoners who only seek what any human being strives for—humane treatment, dignity, equality, and justice for our families, loved ones, and ourselves. 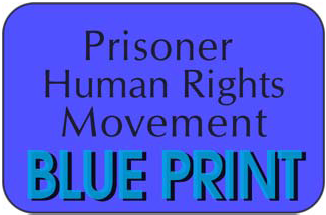 These are the fundamental rights of all people, including those incarcerated by the state. We are doing all we can, together with our outside supporters, to bring about a positive changes. Gov. Brown is not above the will of the people of California, and if he refuses to recognize the legitimacy of our human and civil rights struggle against the practices of this prison system, then it is the responsibility of the federal government and President Obama to use their powers to stop the harm being done to thousands of prisoners being held in solitary confinement. CDCR officials are attempting to undermine the voluntary actions of prisoners who truly want better treatment and living conditions by wrongfully accusing us of forcing tens-of-thousands of prisoners across California, along with our supporters in the free world, to participate in our protest. Prisoners across the state are participating because of the inhumane conditions they are being subjected to. As HUMAN BEINGS prisoners are collectively resisting such treatment, and they are doing so peacefully. The attempted repression of our protest has not broken our spirits. In fact it has only helped to strengthen each of us—individually and collectively. Despite CDCR’s retaliations and propaganda, we remain steadfast in our commitment. We will see our peaceful hunger strike through to victory, even if this requires us to endure the torture of force-feeding. We believe at this point in our struggle we are prepared to do what is necessary in order for Gov. Brown and the CDCR to realize how serious we are, and how far and long we are willing to go to have our reasonable demands implemented. We are hopeful that all those brave men and women across the state who are participating in this strike—all who are able health-wise—will be encouraged to issue public statements of their own, via media outlets across the country, letting the world know why they have taken part in this historic, collective struggle. In closing, we want to inform the world that this hunger strike is far from over. We are in it for the long haul. Thus, we strongly urge Gov. Brown to return from his “get-away” vacation overseas and deal urgently with this crisis before more prisoners suffer serious health damage or death. If any deaths do occur, the responsibility for them will fall squarely on Brown and the CDCR in their callousness and inaction. We believe that we will prevail. Myself and my companeros y companeras from Hayward, Eureka, San Jose, Sacramento, Fresno, LA, Gilroy, Morgan Hill, Hanford, Salinas, Tokoyo, Japan support you . We keep you in our actions by the Gov, Warden and informing our daily contacts of your struggle. Your struggle is our struggle. We keep in our minds, actions, prayers…..
“Non-violence and cowardice are contradictory terms. Non-violence is the greatest virtue, cowardice the greatest vice. Non-violence springs from love, cowardice from hate. Non-violence always suffers, cowardice would always inflict suffering. Perfect non-violence is the highest bravery. Non-violent conduct is never demoralising; cowardice always is. Governor Brown needs to be IMPEACHED. For his disregard relating to Humanity. And his cozying up to California Prison Union who want more prisoners so they can keep their own jobs. Ironically Gov. Brown is visiting German concentration camp Dachau. Hopefully he is not coming back to CA with more sadistic punishment ideas for his own prison system. negotiate an end to retribution and inhumane conditions.